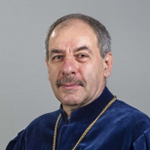 Dr. Tamás Sulyok was elected Judge of the Constitutional Court by the Hungarian Parliament in September 2014. Since 1 April 2015 he has been vice-president of the Constitutional Court. From 22 April 2016 he has been practicing the President’s powers. On 22 November 2016, he was elected by the Parliament as the President of the Constitutional Court for the term of his mandate.